All started at a quiet weekend in 2004 spring, i was browsing and found a basic, unfinished flipping effect with the authors comment “take the source and finish it if you want”. I like challenges, so i didn’t take the sources, but started figuring out the mathematics of the effect. A few hours later, the flipping mechanism was done is flash (AS1), and the next day i finished version 1 of pageflip: four corner draggable flipping book, with flipping in both direction. The look of the flipping animation was almost the same as today, but without click control (only drag). Content were defined as embedded MovieClips. I sent it to Mario, the guy who did the unfinished flip effect, with the source file, and he has posted it on his Blog: http://www.quasimondo.com/archives/000352.php. From that point, more and more people was interested about the effect, and i did a second version with many code improvements, optional large cover and corner clicking for flipping. Source was downloadable for this version too. These versions lacks an important feature: dynamic content loading. I got many offers to make a dynamic versions, so finally version 3 was born, it uses an XML configuration file for storing settings and page URLs. The page was external files, and there started the history of the commercial version. Since then, Pageflip was developed constantly: i got many feature requestes, that was later implemented, and i also added features, and customizable options again and again. Mainwhile some template selling site started selling my free version (i got many support requestes from their clients), and others are done their own version, that was almost the same, except from UI design, and extra features. It was smooth on fast computers thanks to the switch from 30 to 60 FPS framerate. 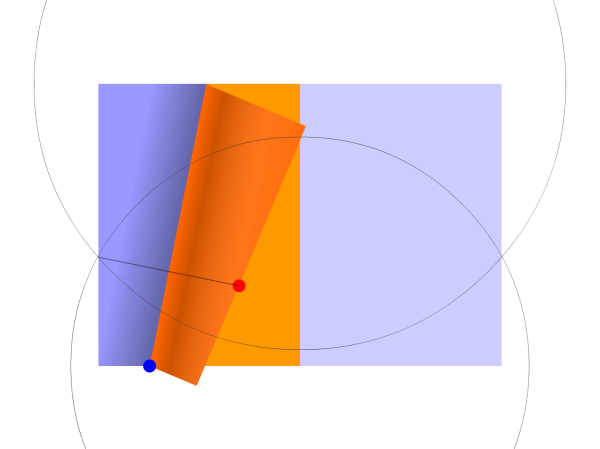 In Pageflip 4 the mathematics used to calculate page positions/rotation, maskings and shadow position was also changed. The result was a smoother animation, and precize positioning. The shaking effect at the farest point from the pointer was eliminated. Mainwhile the Flash platform began to die, and tablets came into everyday’s life, mostly without supporting Flash. Pageflip 5 is smoother than any competitor’s clones. 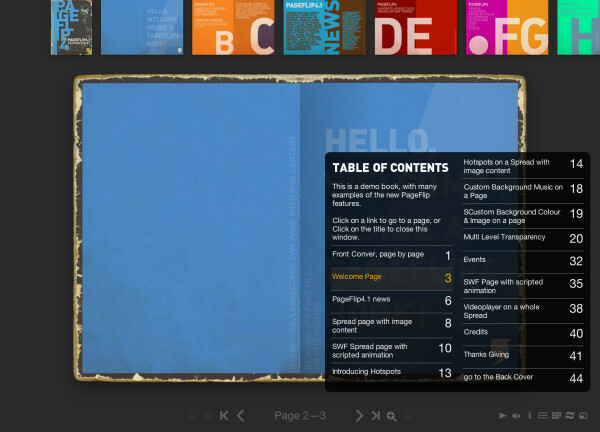 Pageflip was always designed to be an interactive book, with the freedom of creating custom content on the pages by web builders. With the recently released online tool, PDF to Pageflip converter, this started to change. 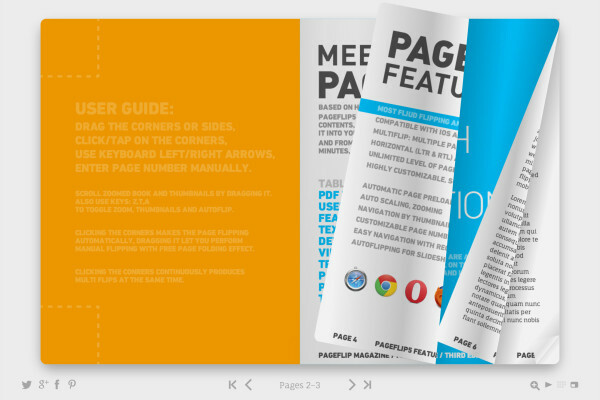 With this tool, everyone is able to create Pageflip books from any PDF document. Pageflip 5 the update of this great, I would like to know if there are any tutorial for the search page if this can already find some name or keywords within the content, not just page numbers. Thanks! I’m working on finding a solution for a page level search function which could be compatible with search engines like google. But i’m not sure is it what you’re looking for, or only a search function within Pageflip with selection of the item found on the pages? Hi. I appreciate your attention. Only the search engine within the pageflip that inserting a keyword takes me to some page. The search engine works and inserting the number of the page but it can work by inserting the word? It isn’t a search function (yet, good idea to make it so), it;s there to enter the page number, or page Name. I could be easy extended to be a search function, so i put this issue to my To Do list. Thanks for the idea! I was using another Flash based flipping book before I found your HTML version. Now, I only used your software for my tests and will use it on my website for sure. And having the PDF to PageFlip online will make it faster for me to do it. I still need (and want) to learn more about creating books, but I’m very happy with your work right now. Thank You Gilles, i’m glad you like Pageflip. Hi, I am a lecturer and teach publication design. is it possible to get the pageflip and get free tutorials for our students? Do you have a student rate? we are located in South Africa. WOuld appreciate online tutorials. thanx! this is such a great tool! Hi there, I’d be interested in using your product. It looks amazing! Just a couple of questions, will I be able to embed vimeo videos in my finished pages? And how would that be done? AND is it possible to have the thumbnails on the left hand side of the book, showing up at all times? Thanks for your interest. Video can be inserted using the HTML5 <VIDEO> tag. Thumbnails are only supported in its horizontal position, above the book. Hi Abel, is your solution able to load and turn CANVAS element featured html as a single page too? Pageflip5 is cool, you rock! Thanks! I didn’t make tests with pages containing CANVAS element, but i think it should work.